Goldie Tracy Richmond stood 6-foot-4 and weighed about 350 pounds. She wore a man’s size 13 shoe. She sewed her own clothes by hand because of necessity and her size. For 34 years, she operated Tracy’s Trading Post in San Simon. Maricopa’s Jim Slack often spoke of this most extraordinary woman he encountered on his business trips selling automotive parts in the isolated desert of the Tohono O’odham Reservation. Richmond also promoted the sale of thousands of Papago baskets for local artists and quilts she made from 1932 to 1966, and assisted the Papagos wherever needed throughout the years. Goldie was born in Kansas in 1896. When she was 21, she married Marion Tracy, who was 40 years older. In 1921, they moved to Quijotoa. 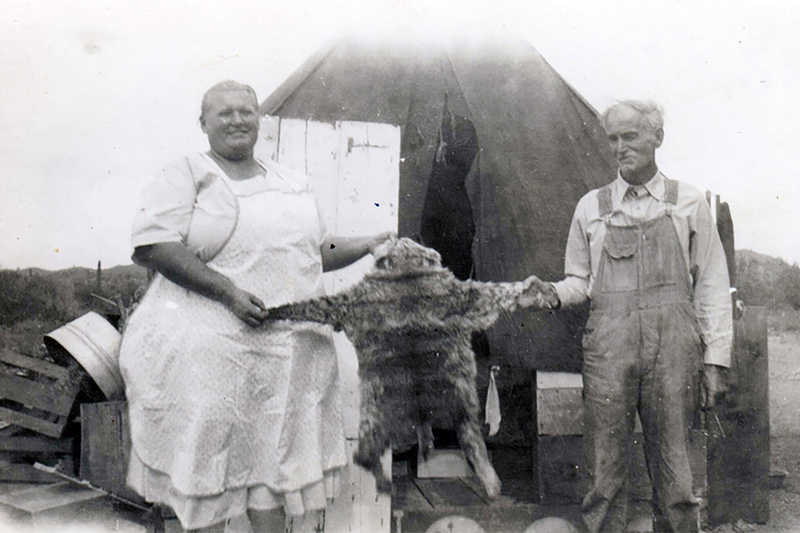 It was here that she became a prospector, an animal trapper, hunter and later a trading post operator to make a living for them. 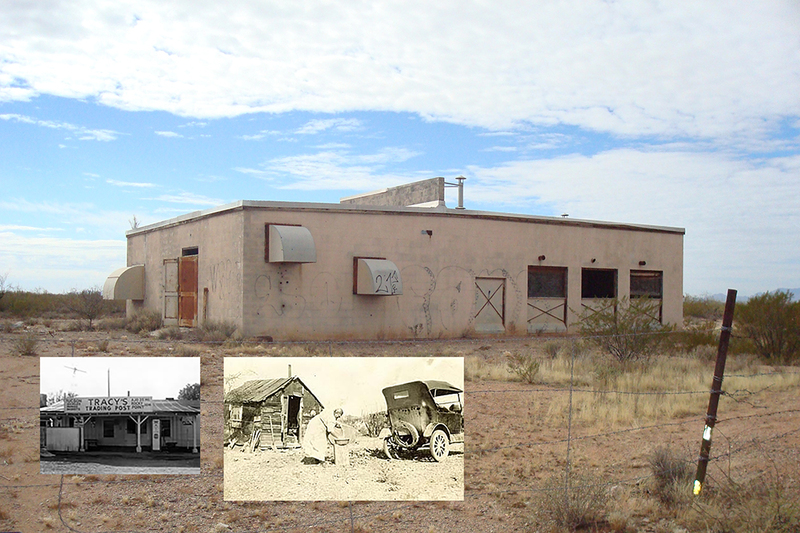 In 1932, Marion and Goldie opened Tracy’s Trading Post and ran it together until Marion’s death in 1936. Goldie continued to operate the trading post for years, sending advertisements for the beautiful baskets made by the Papagos from California to New York. The sales were great, and the Papagos sold the baskets as fast as they could make them. Her many Papago friends went out of their way to trade with Goldie, and an assortment of government officials and visitors constantly came into the shop. Eventually, Goldie married Jim Richmond and they operated the post until 1966. When Goldie died in 1972, the O’odham had not been able to go to her funeral and held a service on the reservation in her memory. She was a gifted artist, and her hundreds of beautiful quilts became her legacy to the Tohono O’odham people she loved and the rugged Arizona desert that became her home.